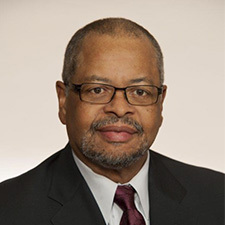 Wendell Knox was named President and Chief Executive Officer of Abt Associates Inc in 1992. He was responsible for all research, technical assistance, consulting, marketing, and financial operations as well as the strategic direction of the company. Mr. Knox retired after 17 years from the firm in 2009 but remains as a member of its Board of Directors. Mr. Knox also serves on the Board of Directors of Eastern Bank where he is Lead Director and a member of the several committees. He is a Director of the Hanover Insurance Group and in 2009, he was elected to the Board of Trustees of Natixis Funds, Loomis Sayles Funds, and Hansberger International Series. Mr. Knox is active in civic affairs, including past or present board memberships with EdVestors, Boston Rising, The Efficacy Institute, Brigham and Women’s Hospital, The Greater Boston Chamber of Commerce, The Partnership, The Biomedical Sciences Careers Program, The National Conference for Community and Justice, The Dimock Community Foundation, the Massachusetts Business Alliance for Education, Partners Continuing Care, and the Black Philanthropy Fund. Mr. Knox received a B.A. in Social Relations from Harvard University. In addition, he completed the Special Program in Urban Economics at the Massachusetts Institute of Technology.